Morbid Anatomy: EVENT: Maria Sabina: Shaman, Curandera, and Visionary Poet: Illustrated Talk by Homero Aridjis on The Woman Who Inadvertently Introduced the West to "Magic Mushrooms"
EVENT: Maria Sabina: Shaman, Curandera, and Visionary Poet: Illustrated Talk by Homero Aridjis on The Woman Who Inadvertently Introduced the West to "Magic Mushrooms"
On Wednesday, April 3, we are beyond honored to be hosting Homero Aridjis--a beautiful man with a distinguished career spanning poet, novelist, ambassador and environmental activist--at Green-Wood Cemetery. He will be giving an illustrated talk about his friend Maria Sabina, the Mexican curandera and shaman who invited American ethnomycologist R. Gordon Wasson to take part in a traditional healing ceremony using psilocybin mushrooms, inadvertently launching the 1960s psychedelics craze. Following will be a wine reception where you can meet Homero and bring any copies of his books for signing. You can get tickets here, and find out more below. Hope very much to see you there! 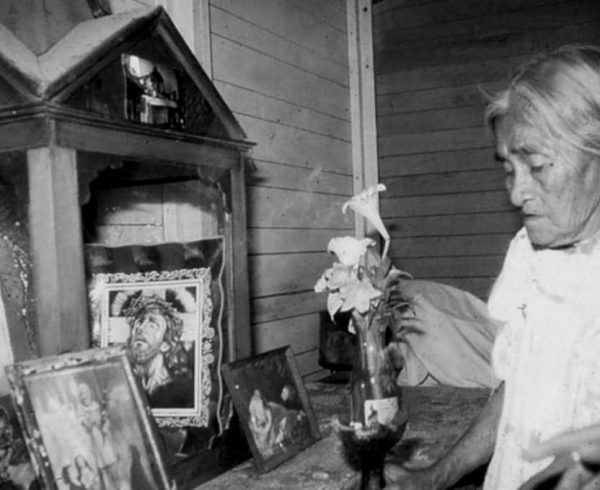 In 1957, Life magazine published a photo essay, “Seeking the Magic Mushroom,” featuring Maria Sabina, a curandera (healer) and shaman living in the Sierra Mazateca in southern Mexico. Sabina was the first to allow foreigners to take part in veladas, healing vigils when participants eat psilocybin mushrooms. The essay opened Western audiences’ eyes to the use of psychedelics and led, ultimately, to the synthesizing of LSD. In this illustrated talk, poet, novelist, and diplomat Homero Aridjis will share his first-hand accounts of meeting Maria Sabina, whom he sees not only as a cultural icon, but also as arguably the greatest visionary poet in twentieth-century Latin America. Aridjis’s 2013 novel Carne de Dios, centers on Sabina’s life in Huautla and her involvement with Westerners who flocked to her home to experience the hallucinogenic effects of the “magic mushrooms”. Considered to be one of Latin America’s greatest living writers, Aridjis is also widely known for his pioneering work as an environmental activist and his two-term stint as president of PEN International. Aridjis has served as Mexico’s Ambassador to Switzerland, The Netherlands, and UNESCO. Many of his fifty books of poetry and prose have been translated into fifteen languages and he has received important literary and environmental prizes in Mexico, France, Italy, the United States and Serbia. Among his books available in English are The Child Poet, Eyes to See Otherwise, A Time of Angels, Maria the Monarch, and News of the Earth, a biography of his relationship with the natural world and a wide-ranging selection of his work and writings in defense of the environment.